The Starlite Edition is one of the most unique works of art in the world! Rick Broome has mastered and perfected this technique. 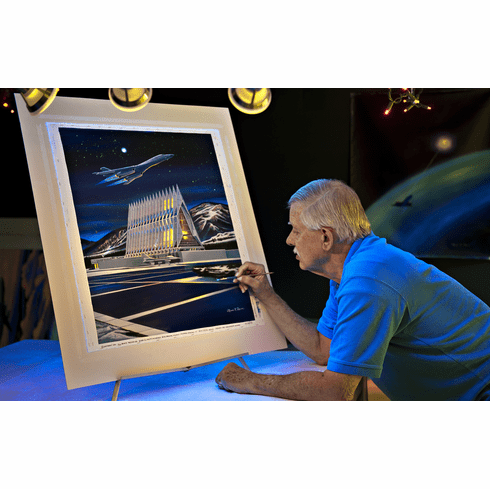 The Starlite shows your painting in a Day scene and then transforms to a Nocturnal scene under special UV LED lighting. These paintings actually come to life. Each painting is hand done by Rick and requires a minimum of 50 hours to complete. Due to the increase in cost of framing, we can no longer offer the Starlites with our Starlite frame. You now have the choice to receive the Starlite with the frame, $600.00, or with the Lighting only, $95.00.